”My ego is property of my own and of nobody else. I do not belong to any country, family or religion. I belong to myself and I am the only owner of me. The title of this artwork is from Max Stirner’s homonymous book ”Der Einzige und sein Eigentum” (translation ”The Ego and His Own”), first published in 1844. 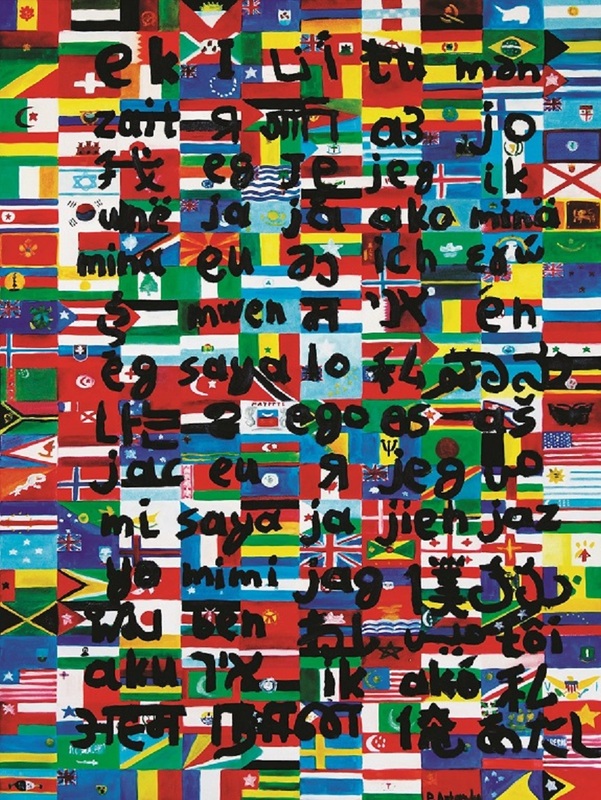 It depicts the word ”I” in 75 languages on top of 240 country flags. Der Einzige und sein Eigentum is also available in limited edition of 25/V screen prints. For more info press here.